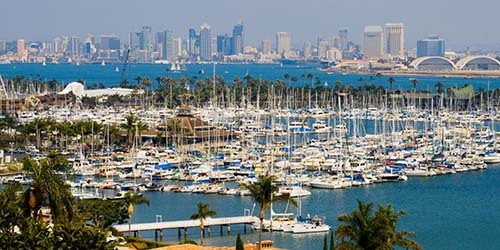 The economy of San Diego is influenced by its deep-water port, including the only major submarine and shipbuilding yards on the West Coast. Several major national defense companies are headquartered in San Diego, including General Atomics, Cubic and NASSCO. Another major industry in San Diego is tourism, thanks to the city’s pleasant climate and attractive beaches. Among numerous tourist attractions are the San Diego Zoo, SeaWorld, Balboa Park and the Belmont amusement park. When it comes to local auto repair and service, Mode Auto Repair is proud to serve drivers throughout all of San Diego. At our convenient location, our professional staff is dedicated to excellent customer experience combined with precise workmanship. We’ll get you back on the road with complete satisfaction.